Native to Europe and western Asia; introduced and naturalized in North America. Dry or moist. Disturbed areas, fields, roadsides, railroads. Full sun. This is a 24″ to 60″ tall, erect, biennial forb that rises on a single stem from a long, thick, cone-shaped, fleshy taproot. 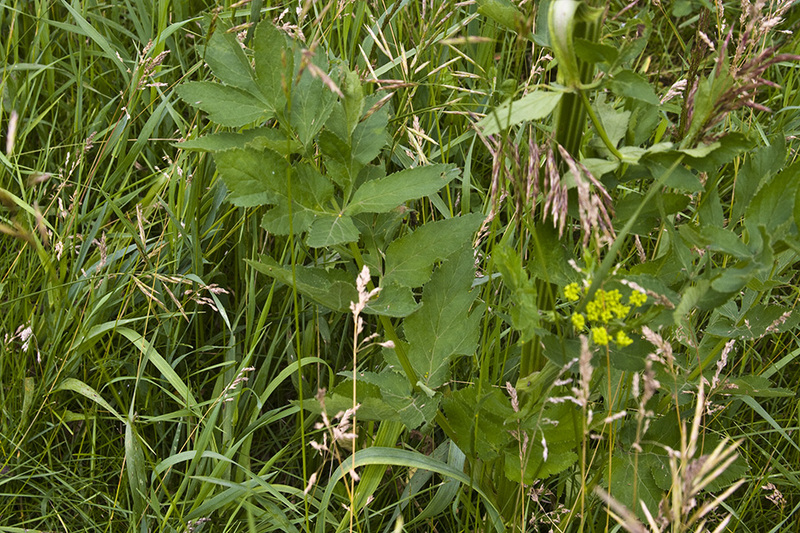 In the first year there is a rosette of basal leaves and no central stem. 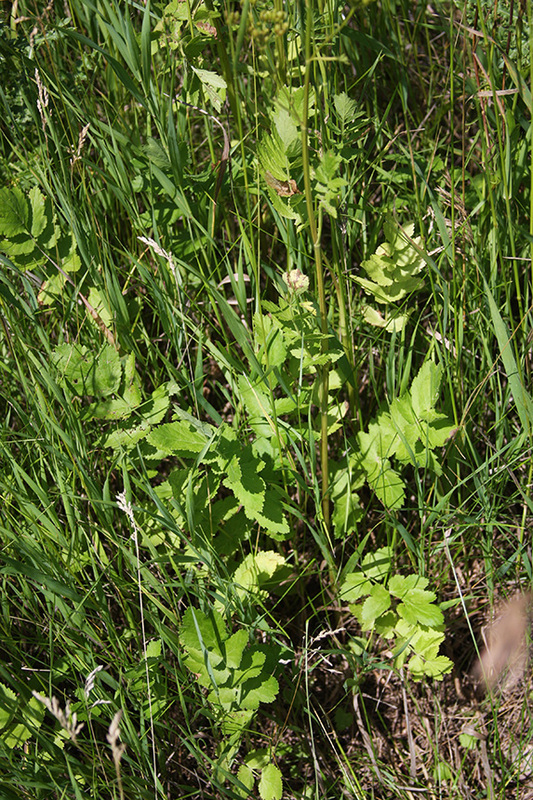 Basal leaves are 2″ to 20″ long and up to 10″ wide. They are pinnately divided into 5 to 15 leaflets, 2 to 7 opposite pairs and a single terminal leaflet. 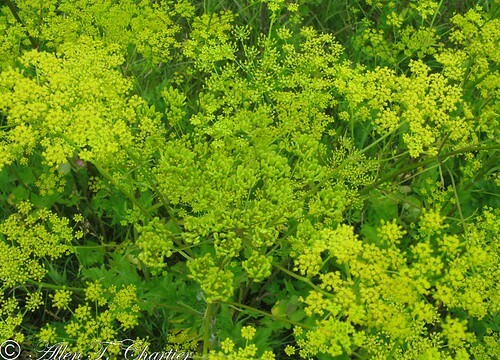 The leaflets are oblong to egg-shaped, 2″ to 4″ long, and irregularly lobed. The upper surface is hairless. The lower surface may be hairless or hairy. The margins have 8 or more coarse, sharp, forward-pointing teeth on each side. 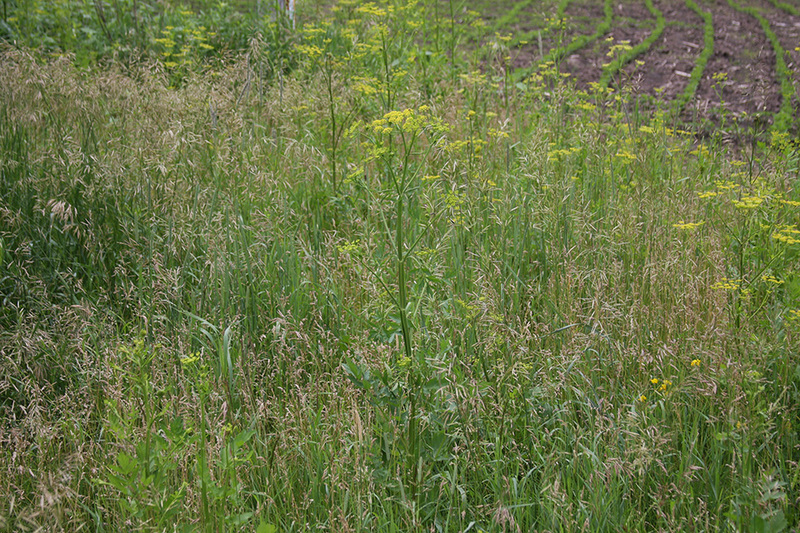 In the second year there is a single stem and usually also a few basal leaves. 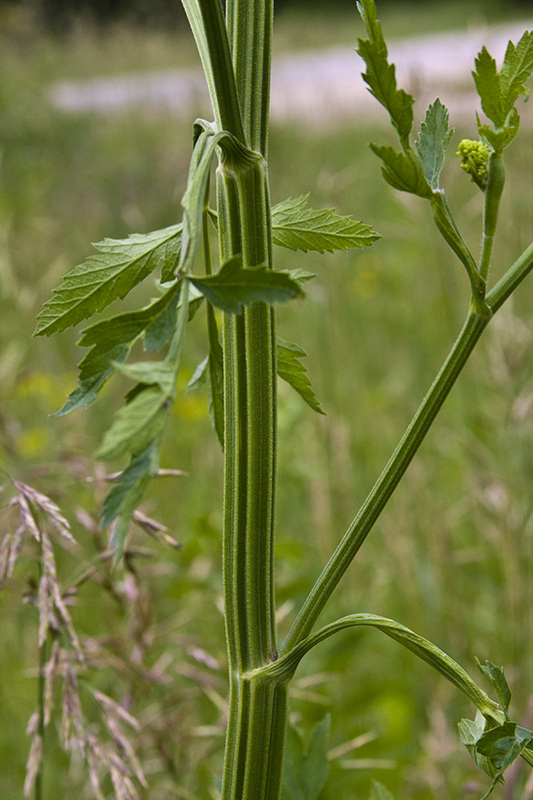 The stem is erect, relatively stout, hollow, strongly ridged (deeply grooved), occasionally branched, light green, and hairless or sparsely hairy. 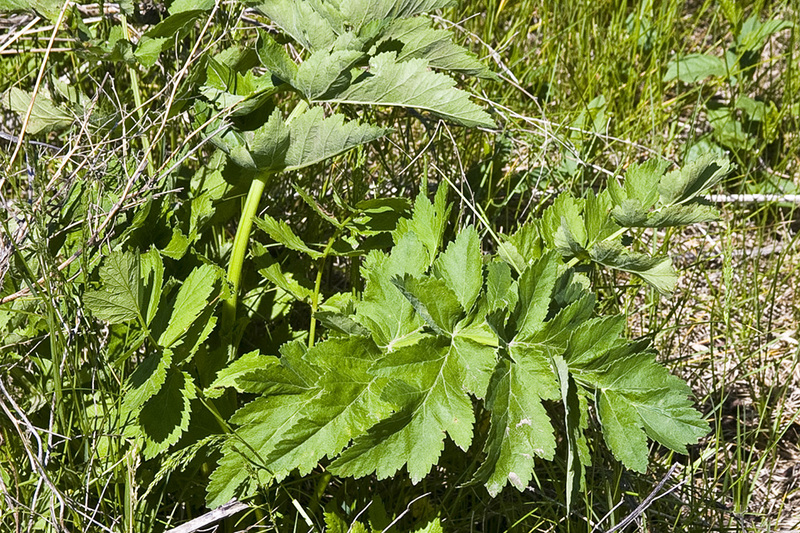 Stem leaves are alternate and similar to basal leaves. Lower stem leaves are 2″ to 18″ long on leaf stalks up to 1½″ long, becoming much smaller on shorter leaf stalks as they ascend the stem. The uppermost leaves are stalkless. 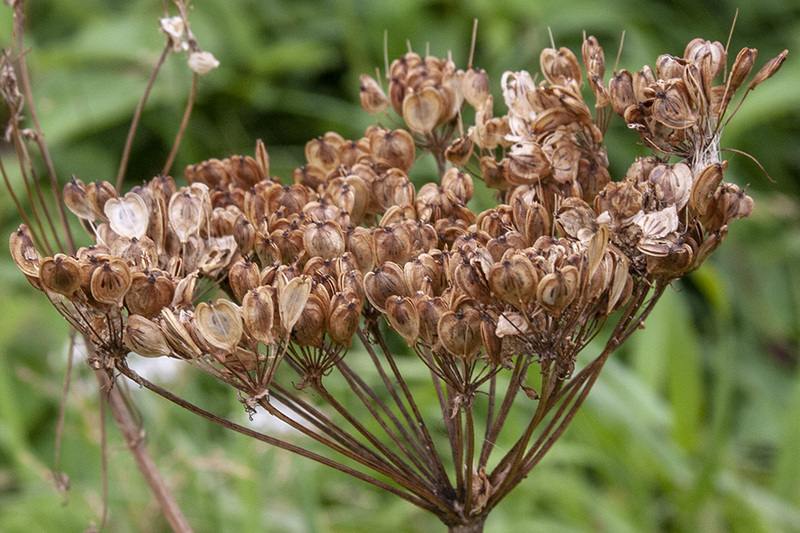 The inflorescences are flat-topped, 2″ to 6″ wide, umbrella-shaped clusters (umbels) at the ends of the stems and rising from the upper leaf axils. 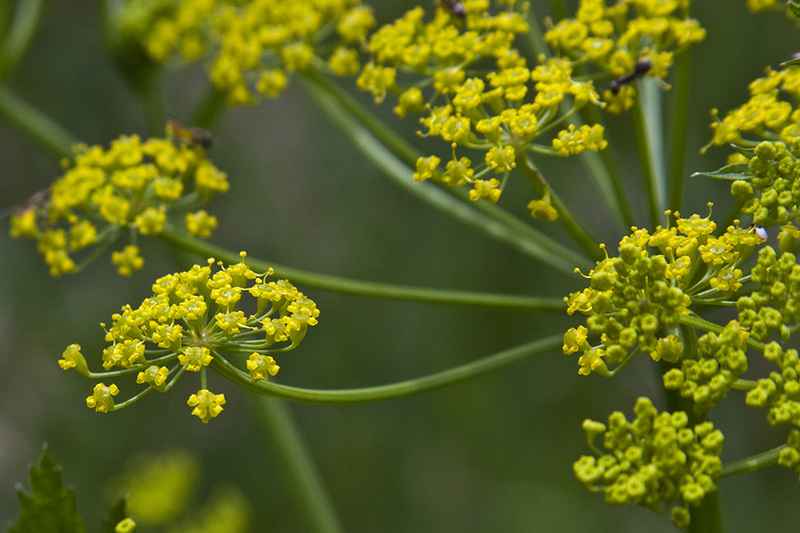 Each umbel has 15 to 25 smaller, umbrella-shaped flower clusters (umbellets) on ¾″ to 4″ long stalks. 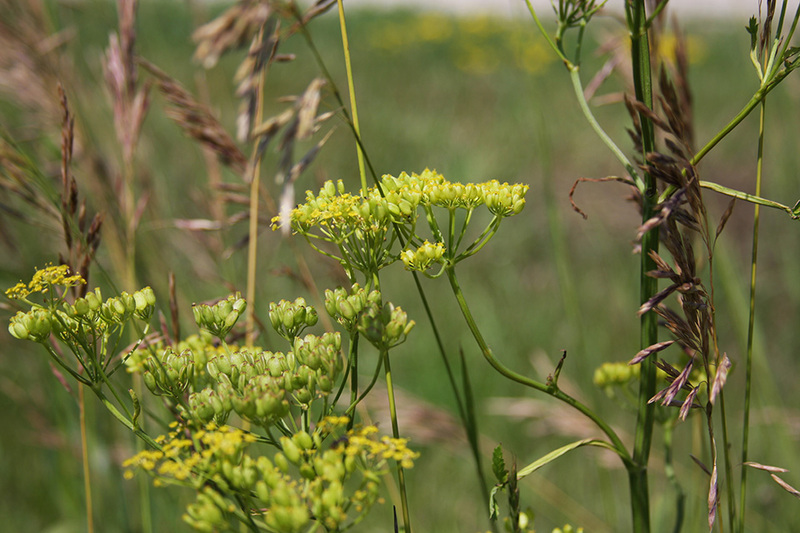 Each umbellet has 8 to 35 individual flowers on 1 ⁄16″ to ⅜″ long stalks. The individual flowers are about ⅛″ across. They have no sepals, 5 yellow petals, and a greenish-yellow nectar pad. 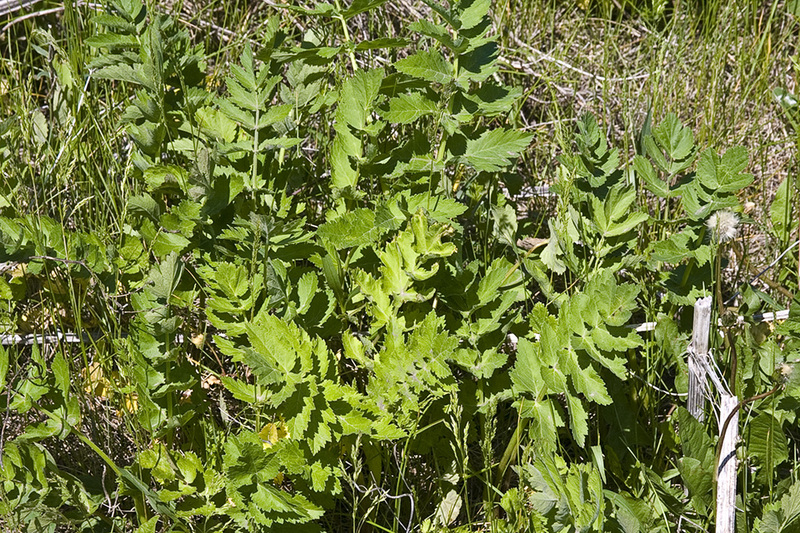 Contact with any part of this plant can cause photodermatitis in some individuals. 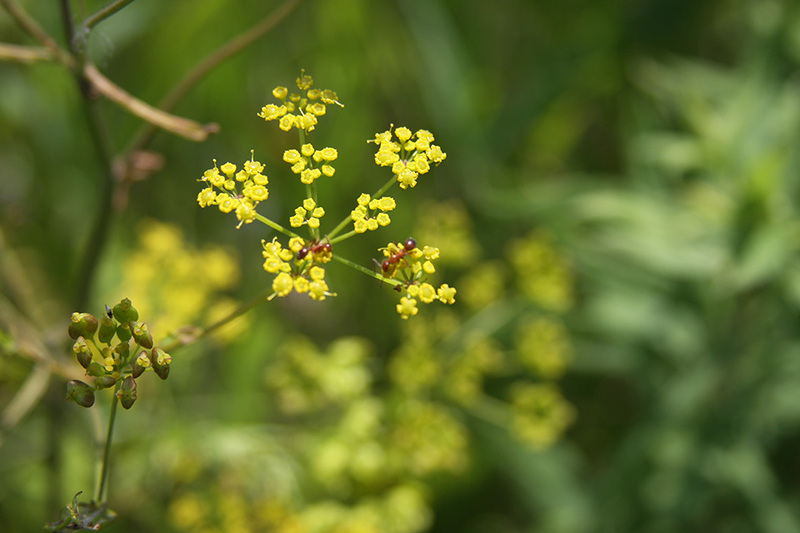 Part 3 in an ongoing series of documentaries on wild edible, medicinal, and toxic plants. 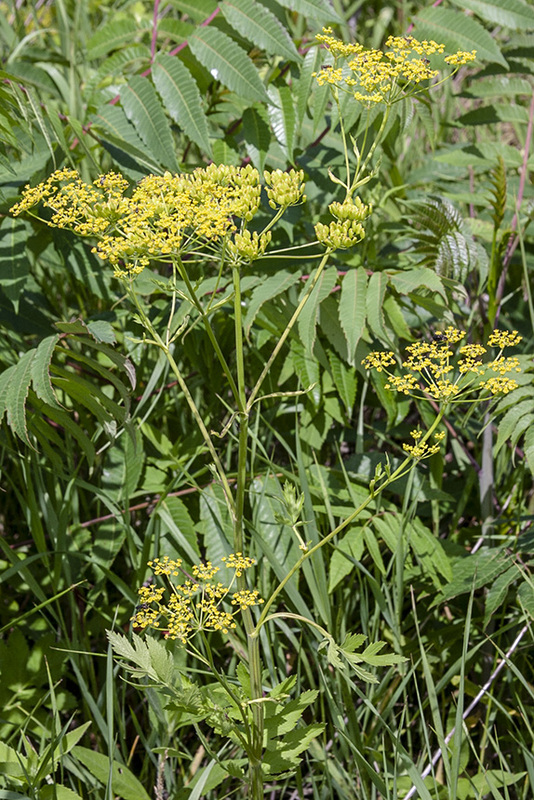 I'm covering "Wild Parsnip" and "Wild Carrot" with a focus on how to tell it apart from it's deadly poisonous relative "Poison Hemlock". All video footage is recorded by me on the GoPRO Hero 2. Some of the pictures taken from reputable sources on the internet. Click 4:21 to skip to Wild Carrot. 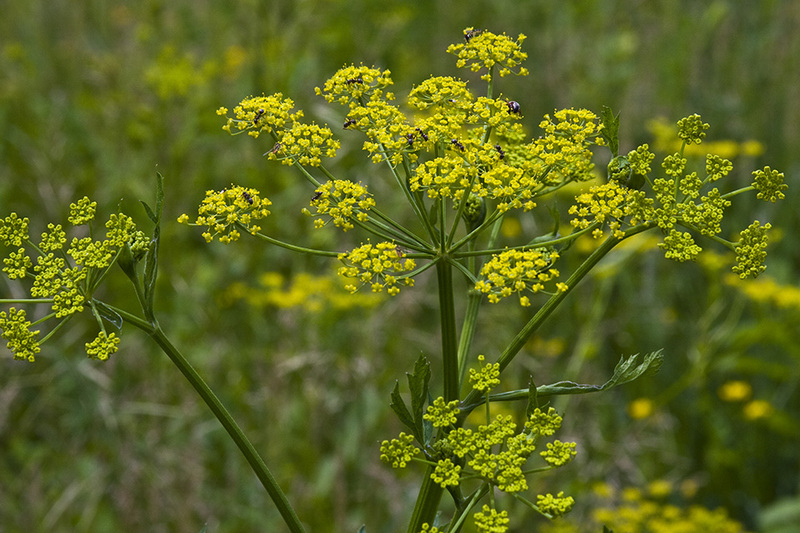 Wild parsnip (Pastinaca sativa) is a root vegetable related to the carrot in the family Apiaceae. 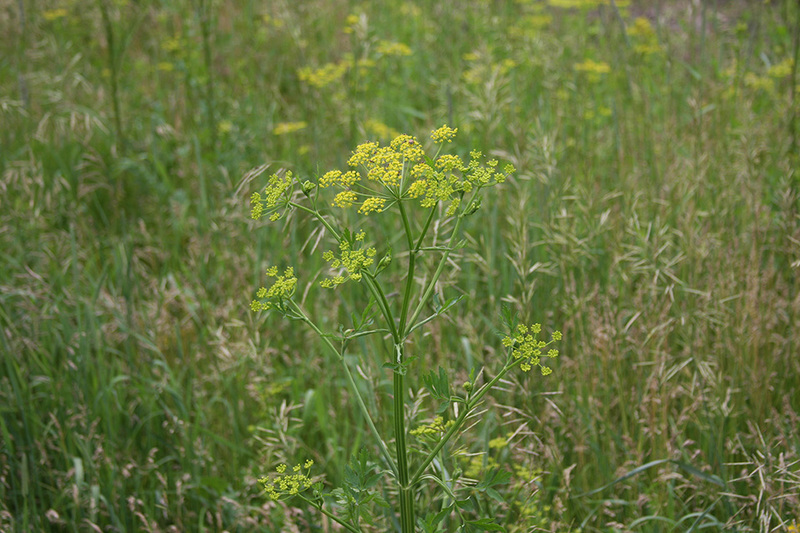 Pastinaak (Pastinaca sativa subsp. 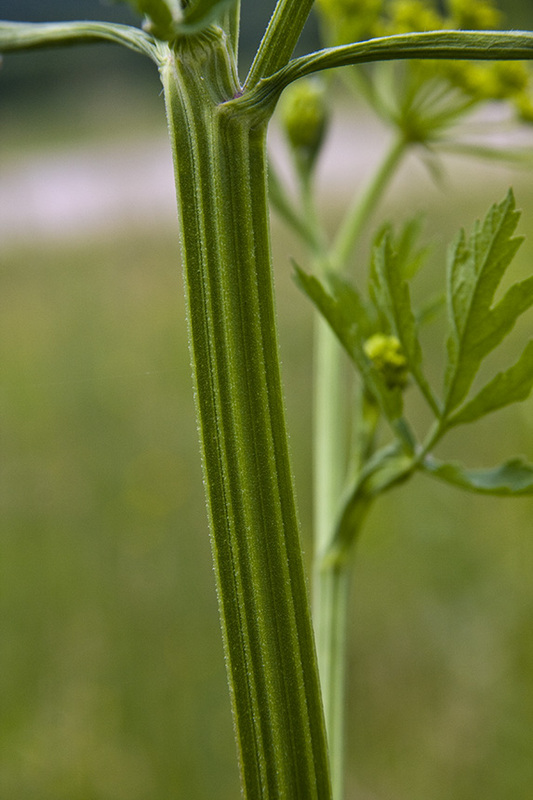 sativa), pinksternakel of witte wortel is een plant uit de schermbloemenfamilie (Apiaceae). 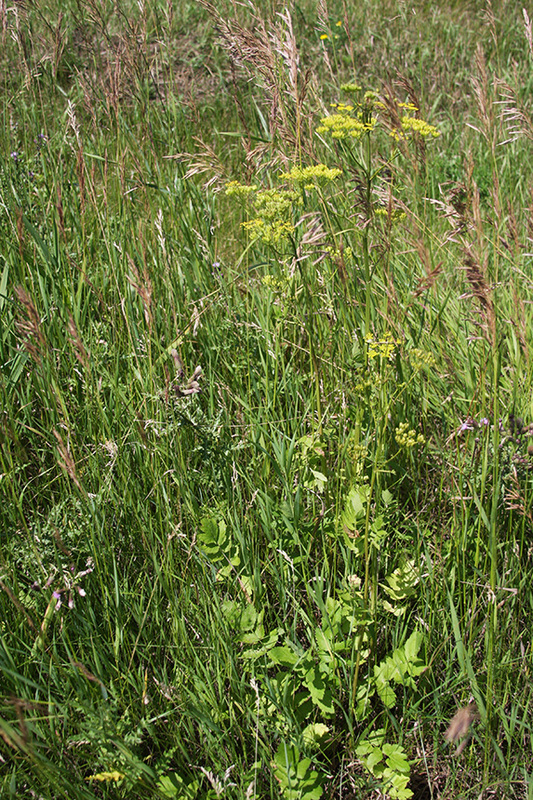 If you drive along county roads and open pastures in the Coulee Region, you may have noticed a yellow wildflower.